Harvard University Press, 9780674028234, 432pp. 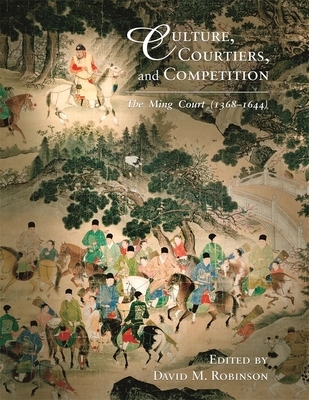 This collection of essays reveals the Ming court as an arena of competition and negotiation, where a large cast of actors pursued individual and corporate ends, personal agency shaped protocol and style, and diverse people, goods, and tastes converged. Rather than observing an immutable set of traditions, court culture underwent frequent reinterpretation and rearticulation, processes driven by immediate personal imperatives, mediated through social, political, and cultural interaction. The essays address several common themes. First, they rethink previous notions of imperial isolation, instead stressing the court's myriad ties both to local Beijing society and to the empire as a whole. Second, the court was far from monolithic or static. Palace women, monks, craftsmen, educators, moralists, warriors, eunuchs, foreign envoys, and others strove to advance their interests and forge advantageous relations with the emperor and one another. Finally, these case studies illustrate the importance of individual agency. The founder's legacy may have formed the warp of court practices and tastes, but the weft varied considerably. Reflecting the complexity of the court, the essays represent a variety of perspectives and disciplines--from intellectual, cultural, military, and political to art history and musicology.